From job creation to workforce development, from pro bono services to volunteer endeavors, most business enterprises have a beneficial impact on their communities. 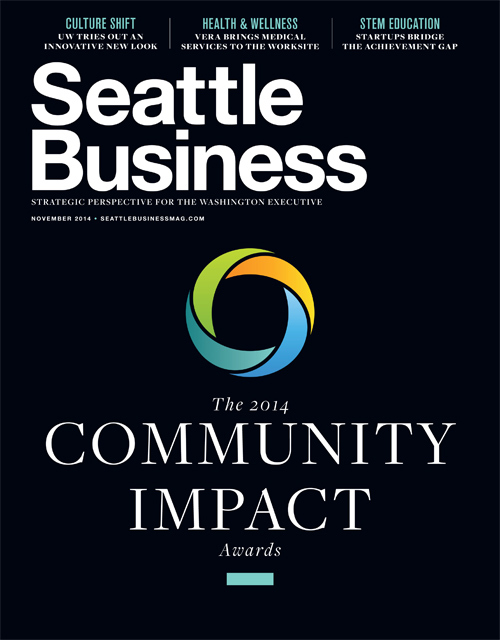 To recognize such vital influence, Seattle Business solicited nominations for its new Community Impact Awards. To say the inaugural class is impressive is like saying the Seattle Seahawks’ Super Bowl triumph was pedestrian. This first group creates an impressive template that assures a stellar selection of impactful businesses and organizations in the years to come.